They came for Eugene Krajewski and his family in the middle of the night. A loud banging on the door. It was the NKVD (Soviet Secret Police) demanding to be let in. Eugene's mother opened the door. Soldiers with guns pushed past and entered the house. The NKVD officer told them to pack their things as they were leaving on a long journey. They were given two hours to get ready. It was early February 1940 in Soviet occupied eastern Poland. Snow lay thick on the ground and it was bitterly cold. Eugene's mother packed warm clothes, food and important family documents. The family was ordered to get on a sleigh. They were taken to the Parish Council offices of Piaski and spent the night there with other families who had been removed from their homes. The next day the twenty or so families travelled in horse driven sleighs to Wolkowysk. There they were loaded onto a train of cattle trucks. After three days the train left Wolkowysk. For Eugene Krajewski and his family their journey into exile had begun. Eugene Krajewski was four years old when he and his family were deported to the Soviet Union. His father though was not with them. When Nazi Germany invaded Poland in September 1939 Eugene's father, an Army reservist, left home to join the Polish Army. On the 17th of September the Soviet Union invaded from the east. The Germans and the Soviets then divided Poland between them. Eugene's father was captured by the Soviets and held in a prisoner of war camp near Minsk. After a few weeks the Polish soldierswere released and allowed to return home. Leon Krajewski returned home to an emotional reunion. In late January 1940 Eugene's mother was told that her husband had been arrested and accused by the Soviets of anti-state activities. He was not at home when Eugene's family was deported. The train of cattle trucks reached the main railway junction in the town of Baranowicze. There it waited for a number of days. When it started again it headed east into Russia, past Minsk, then Smolensk and when it got to Moscow the train headed north. After a journey of three weeks they arrived at their destination. They were taken to a work camp. The buildings were made from rough timber logs. The camp sat next to a large lake which was frozen solid. The daytime temperature was around -30 C. The adults were put to work felling trees in the surrounding forest. The address of the camp was Szamp Oziero, Region Onega, District Archangel, USSR. In June 1941 Nazi Germany attacked the Soviet Union. Stalin, the Soviet leader, came to an agreement with the British government and Polish government-in-exile in London that a Polish Army should be formed on Soviet soil from the Polish men held captive in the Soviet Union. At the end of August 1941 the camp Commandant told the captive Poles in the camp that they were now free people. He encouraged them to stay in the camp by saying that their pay would be doubled and that the camp store would supply them with good cigarettes. The Poles in the camp though were steadily dying. Already one third of them had perished. Disease was rife: tuberculosis, dysentery and night blindness. A small group of Polish men from the camp went to the town of Wologoda. There they offered the Station Master cigarettes if he would send a train up the railway line to the rail terminal near the camp. He agreed to do this. All those in the camp went to the rail terminal and waited. It was October and the Siberian winter was establishing itself. After five days a train of six cattle trucks appeared. They all got on and the train started moving. They began to sing, the ancient Polish hymn that speaks of deliverance and offers thanks to God. Their journey to freedom had begun. In March 1942 rumours began to circulate that the Polish Army was being allowed to leave the Soviet Union. It was true the Polish Army was heading for the Caspian Sea port of Krasnowodsk and from there crossing by ship to Persia. Polish officials were able to offer Eugene's mother the opportunity to take her family out of the Soviet Union on one of these transports. They sailed across the Caspian Sea on a ship called the Kaganov. When they arrived at Pahlevi the dead were taken off the ship first. There were many of them and they were laid out on the beach covered with a sheet. The living were "disinfected": clothes were burnt, hair cut to the scalp and bodies thoroughly washed. Eugene was diagnosed with whooping cough and taken to a hospital in Teheran. The Polish refugees in Persia were offered a choice of where they could resettle: Australia, New Zealand, South America, Africa and India. Eugene's mother chose India. They travelled by ship to Karachi and stayed in a camp there for eight months. In February 1943 their new homes in India were ready for occupation. They set off overland for Bombay from where they took a train south to Kolhapur. Their new home was called Valivade, which consisted of many rows of long houses. Eugene's family was allocated a set of living quarters in one of the buildings. The weather for most of the year was hot and sunny. It only changed during the monsoon season. In July 1943 they learned of the death of the Polish leader General Wladyslaw Sikorski in an aircraft accident at Gibraltar. The Second World War came to an end with the Allied Victory over Nazi Germany. The Soviet Union occupied Poland and installed a communist government. 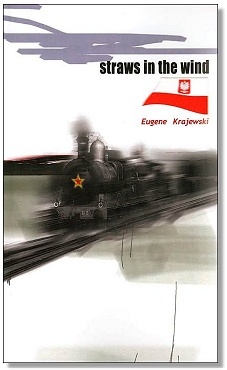 Eugene's mother chose not to return to a Soviet dominated Poland. Instead she and her family were able to travel to Great Britain. In January 1948 they went by train to Bombay and on 1st February 1948 they set sail on the liner Empress of Scotland for Liverpool, England. They arrived in Liverpool on a cold, damp morning on the 14th February. They were taken to a camp at Dalingworth and shortly afterwards left for a camp at Howberry Park near Wallingford, Berkshire. Eugene attended school in England and later pursued a career as an engineer. Publisher - Cromwell Publishers, London in 2001. This page was added on 29 October 2012.